Emily French Ullah joins CPLG (UK) as Category Manager in the gifting, stationery and paper products categories. 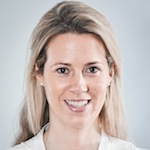 She joins CPLG from Zodiak Rights, where she spent three years as EMEA Licensing Manager. Before that she was at 4Kids Entertainment and Jetix.